If you’ve been enjoying the benefits of hybrid vehicle ownership for several years now, it’s probably time to start giving some thought to replacing your car’s hybrid battery. Even before your vehicle alerts you to problems via a warning light or obvious problems, your vehicle’s aging battery could be impacting performance, especially if your vehicle shows more than 100,000 miles or you’ve had it for five years or more. 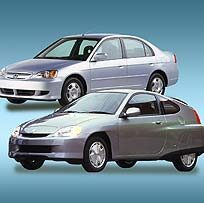 Battery replacement isn’t an inexpensive repair, often running $2,000 to $3,000, and sometimes more. But considering the likely lower costs of maintenance for power train and braking issues, the need to replace your hybrid’s battery isn’t out of line, particularly when also considering the savings you’ve enjoyed at the pump. Although you may have enjoyed lower costs when opting for remanufactured replacements in regards to other consumer goods, don’t expect the cost of a replacement battery for your hybrid to cost less simply because you are provided a remanufactured version. Even if you are successful in getting a better deal on a refurbished battery from a dealer or aftermarket mechanic, it may not last as long, according to AutoTrader. If you are thinking that a remanufactured battery will last as long or longer than the original, simply because it has been newly recharged, think again says Autos.com. Once a battery hits a certain mark, it will lose power. Part of the problem, according to the Autos.com website, is the so-called “memory effect.” This is the phenomenon present with remanufactured batteries where a battery that has gradually lost power over time can only charge to a certain point. Even after it has been remanufactured, the battery often remembers this point and won’t charge past it, something that you may begin to notice not long after having a remanufactured battery installed. If you look for a replacement battery based only on price, you may wind up spending more than you intended. Because of the cost of new batteries, you will find a number of hybrid remanufactured batteries available on auction sites or online classified lists. But keep in mind, buying a battery from these sources does not include installation or customer support. Few vehicle owners are properly trained on proper installation of a hybrid battery. In addition to a lack of customer service, consider whether any warranties are available for the remanufactured battery you plan to purchase, whether you choose to go to a dealer, sale from private individual or an aftermarket supplier. Saving a few bucks will quickly evaporate if your newly purchased remanufactured battery fails long before its time and you are left with no warranty and no customer service. So what is the bottom line? While you may be able to find remanufactured hybrid batteries with a lower price tag than you find with a new one, due to quality concerns, Autos.com cautions against purchasing such a battery unless it is for a stop-gap measure because you simply can’t afford a new one. In such cases, try to budget for a new battery within a year or two at most. Better yet, before concluding your only choice is a remanufactured battery, compare the cost of using an aftermarket supplier like Bumblebee Batteries, that will provide new cells for your hybrid battery’s subpacks and bring your car’s performance back to an optimal level.